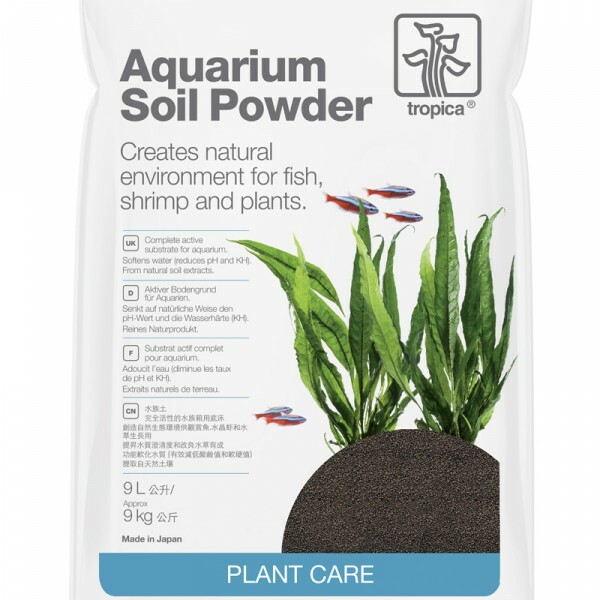 Tropica Aquarium Soil Powder is a complete active bottom layer, which can be used on it's own without any other types of bottom layer. You are not required to top with gravel or any other substrate. The grain size of 1-2mm makes it easy for planting. Aquarium Soil Powder ensures proper growth and stimulates red colours. Aquarium Soil Powder is ideal for use in nano/smaller aquariums to gain a greater sense of scale. It can also be used in the foreground areas in larger tanks where small/delicate foreground plants require a finer grain of substrate to aid planting.